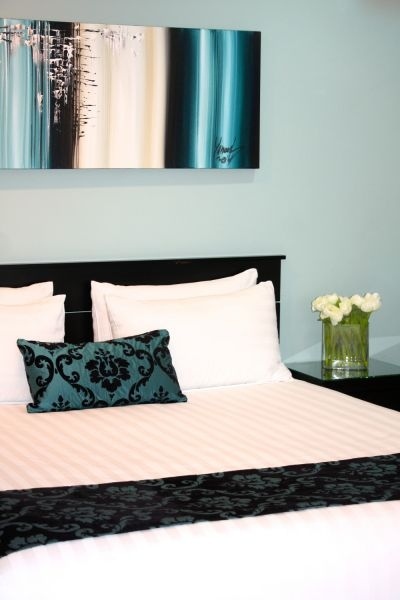 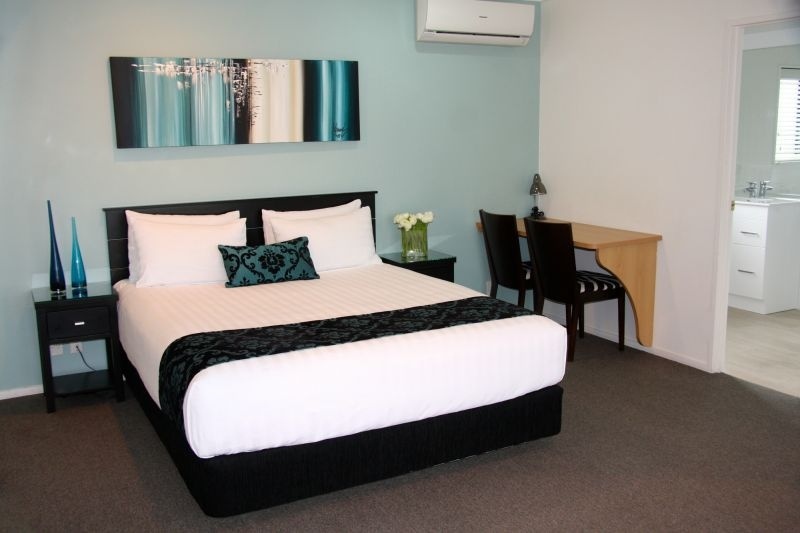 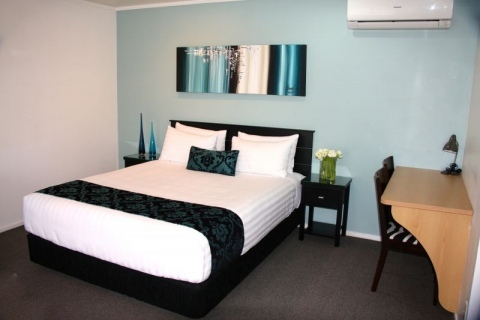 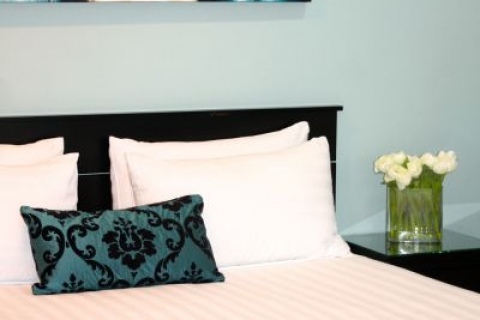 Our King Studios are ideal for corporate travellers and couples. 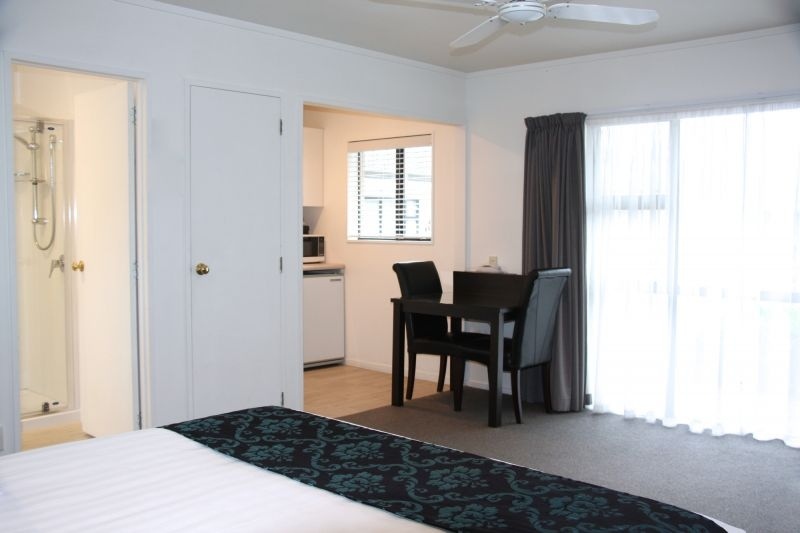 The open living area has an expansive ranch slider which lets in plenty of natural light. 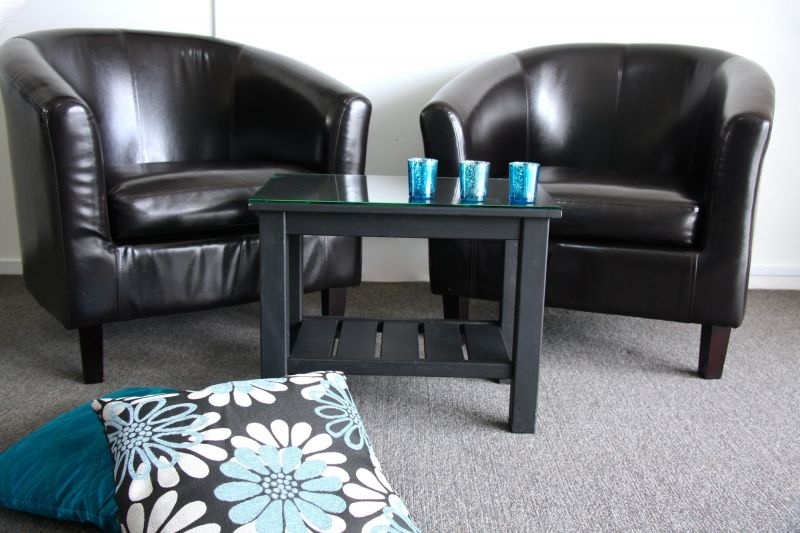 Our King Studios contain a pocket sprung king size bed and two comfy leather tub chairs, both from which you can watch any of our Sky or Freeview channels on your 42” plasma television. These studios are located well away from the complex entrance and the busy Ulster Street so traffic noise is never an issue. 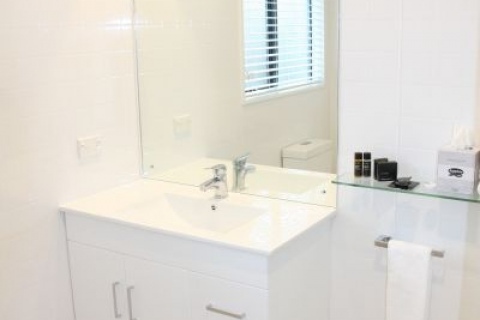 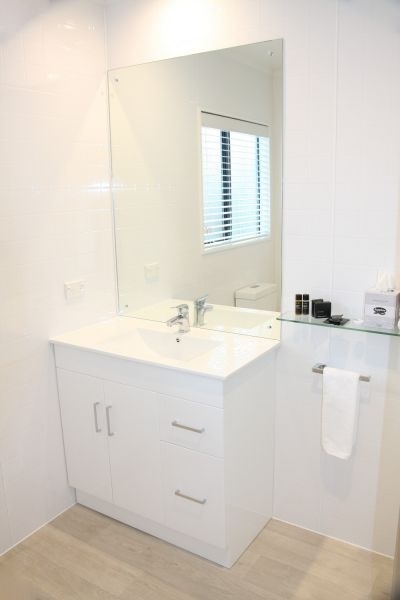 Our King Studio bathrooms were recently renovated. 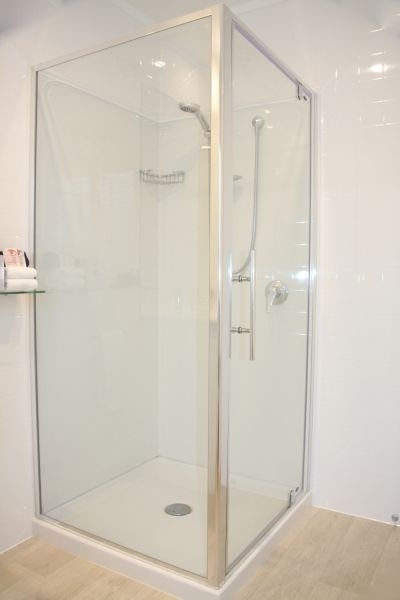 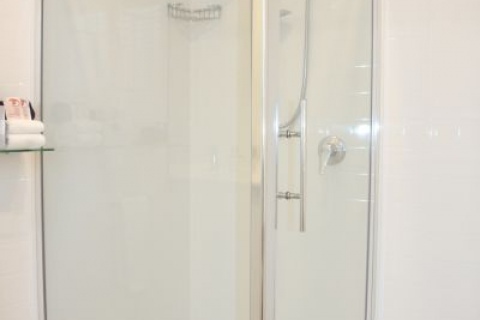 They are simple, clean and functional with their modern shower, vanity and toilet. 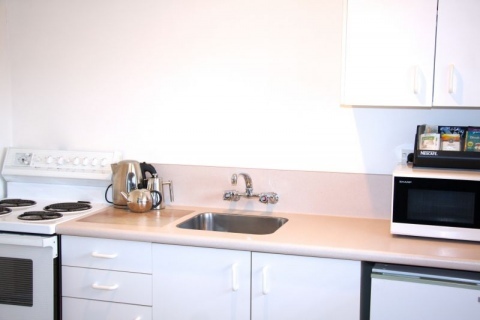 The fully equipped kitchen which includes a full sized oven / stove, microwave and fridge, allows you to cook any of your favourite dishes whilst you are away from home. 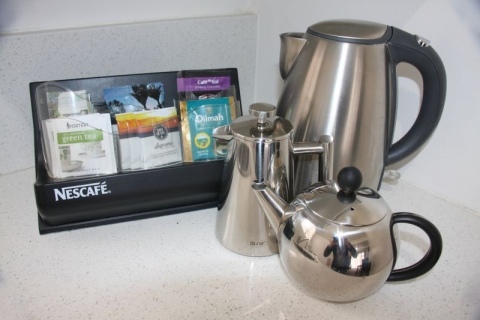 Sit down and enjoy a meal at your dining table or take a cup of coffee to the workstation while you respond to your emails using our complimentary WiFi. 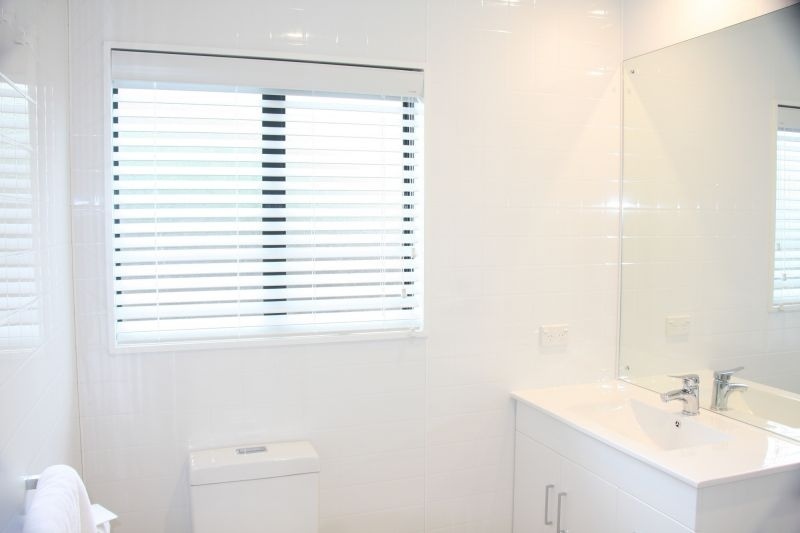 This suite has been installed with the latest Panasonic heat-pump / air-conditioning unit to keep you toasty warm in winter or cool in summer. There is no need to worry about lugging you bags up stairs or into elevators as you have your own parking space outside your door. 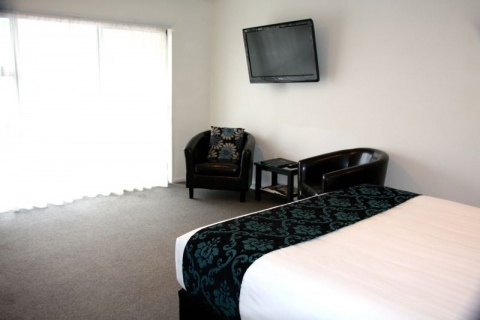 Our King Studios accommodate a maximum of 2 people.